I had the pleasure March 28 of joining 80 other members of the Ancient Forest Alliance to experience the small grove of old growth trees near Port Renfrew known (informally) as Avatar Grove. 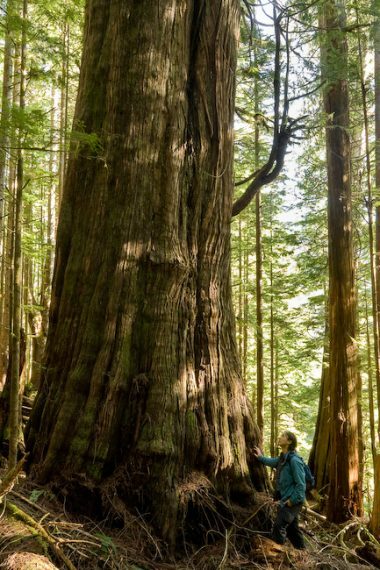 Last weekend, Monday hit the road with environmentalist Ken Wu and the Ancient Forest Alliance (along with 80 other curious community members) to pay a visit to what the AFA is calling "Canada’s gnarliest tree". So I finally went to see Avatar in 3-D. It was breathtaking, of course. But what struck me the most was at the end; I realized that I had viewed this epic story of environmental degradation through plastic 3-D glasses made in China. 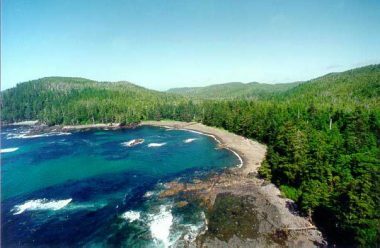 For just over $1.8 million, you can own 60 hectares of old growth forest and white sand shoreline within the boundaries of Cape Scott Provincial Park, just three kilometres off the world-famous Cape Scott Trail. 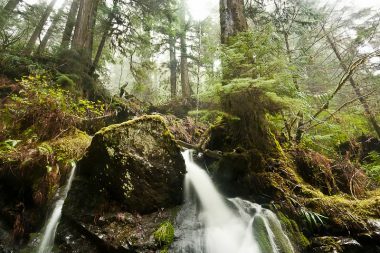 If a more sheltered retreat is more your thing, $349,000 will buy about 16 hectares of old growth forest bordering the salmon-bearing Fisherman River – which is even closer to the Trail. Downtown Vancouver was visited by Na’vi from the extraterrestrial moon Pandora at a small rally for B.C.’s ancient rainforests Saturday afternoon. 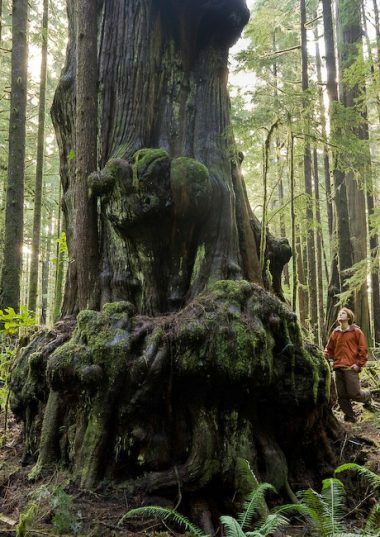 The Avatar Grove — a stunning stand of old-growth trees on Vancouver Island — is slated for destruction but local "Na’vis" hope to save it. 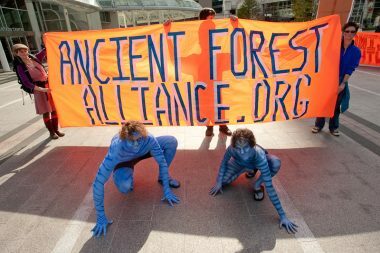 In reference to the James Cameron blockbuster film Avatar, the Ancient Forest Alliance will dress in blue like the indigenous Na’vis in the movie, at a demonstration Saturday in Vancouver. 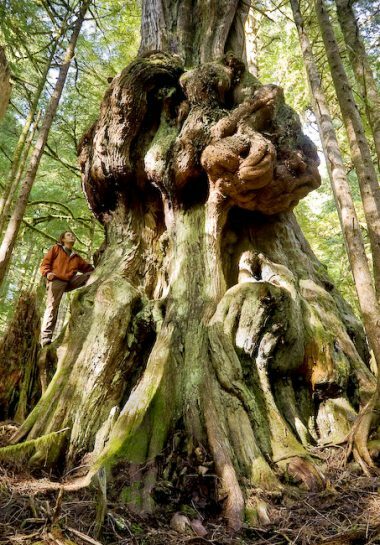 The gnarliest tree in Canada found in the endangered Avatar Grove on Vancouver Island in British Columbia. 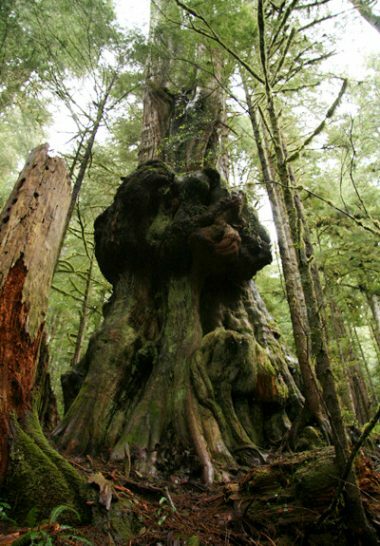 A new Canadian environmental organization, the Ancient Forest Alliance (www.ancientforestalliance.org), is claiming to have found what may be the 'gnarliest tree in Canada' in the endangered 'Avatar Grove' on Vancouver Island in British Columbia.